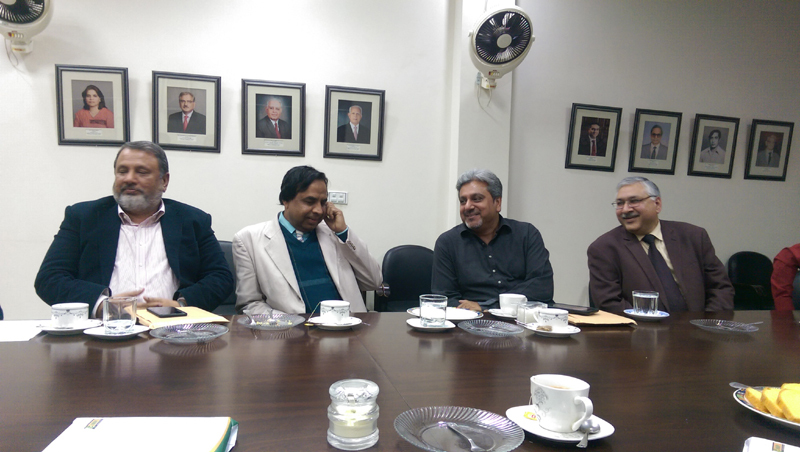 Senior alumni members of Institute of Administrative Sciences (IAS) visited the institute and discussed about the upcoming International Conference on Strategic Directions of Governance, Management and HR with an integral role of CPEC to be held on 20-21st March 2018, hosted by IAS & PERI at Pearl continental Lahore. Alumni and faculty members discussed about futuristic projects of “Dastarkhuwan’ – subsidized meals for the employees of the institute and building of an auditorium. 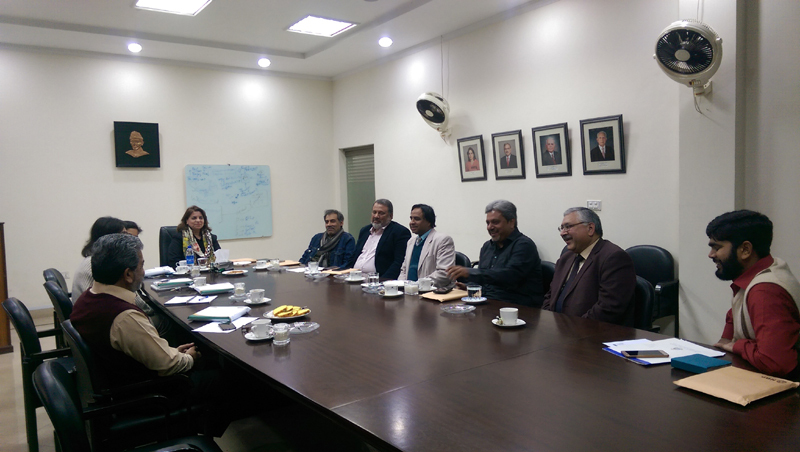 The members of the meeting included the Conference core committee, Prof. Dr. Nasira Jabeen – Dean & Director, Mr. Muhammad Zahid, Dr. Yaamina Salman, Dr. Amani Moazzam, Mr. Shahzad Ahmad, & Ms. Sameen Zaki. 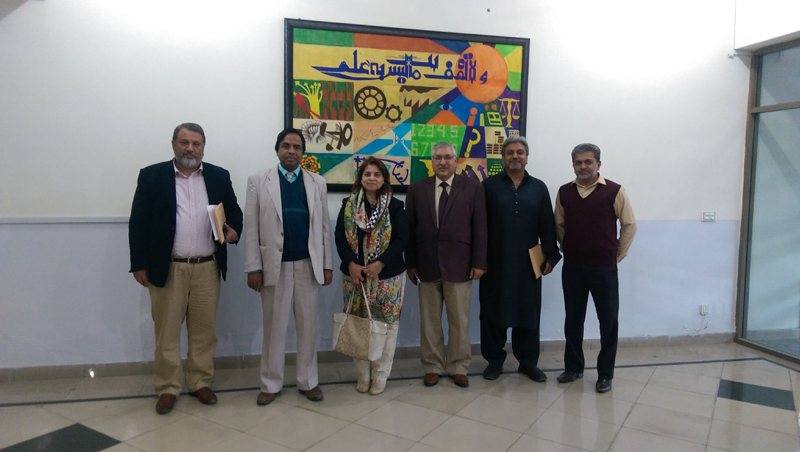 Alumni members including Mr. Tariq Munir – Owner Unity Estates, Mr. Jamil Ahmad Khan – Senior Vice President National Bank of Pakistan, Mr. Shahid Lone – Director at Mansha Brothers, Mr. Abid Sherwani – Director General University of Management & Technology (UMT).